The Fiber Service Provider Certification recognizes operators for their commitment to ensuring customers receive the fastest, most reliable broadband services—connectivity delivered over "future-proof" fiber networks. 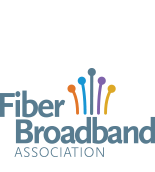 If you are a network operator member of the Fiber Broadband Association and have marketed 70% or more fiber networks to households, you are eligible! Learn more and apply now, or see who's certified. Certification as a CFHP indicates a professional level of technical competence in fiber to the home technologies. Certification consists of demonstrating knowledge and familiarity with FTTH architecture, network design, deployment technology and operational skills. Click on the title above to learn more about the CFHP program and courses offered by Light Brigade. Fiber Broadband Members will receive 15% off all Light Brigade courses. Certification consists of demonstrating knowledge and familiarity with FTTH Passive Optical Network (PON) and Active Ethernet (AE) architectures, Outside Plant design, and deployment technologies. Click on the title above to learn more about the FTTx-OSP program and courses offered by Light Brigade. Fiber Broadband Members will receive 15% off all Light Brigade courses. A comprehensive and branded explainer on the fiber industry, the importance of fiber, and its implications for 5G. This launch presents an exciting opportunity to position FBA as a thought leader in fiber and in the telecommunications industry more broadly. The Fiber Guide also can serve as a resource for FBA members and their customers, further demonstrating how FBA adds value for its membership.